Bajaj Auto seems to be very enthusiastic with the Vikrant bike range. It has already introduced the very popular V15 and the recently launched V12 commuter with unique modern retro designs. While it is yet to be seen whether the V range will be expanded, Motosketches has published three imaginative images of what was the V22 in different avatars. 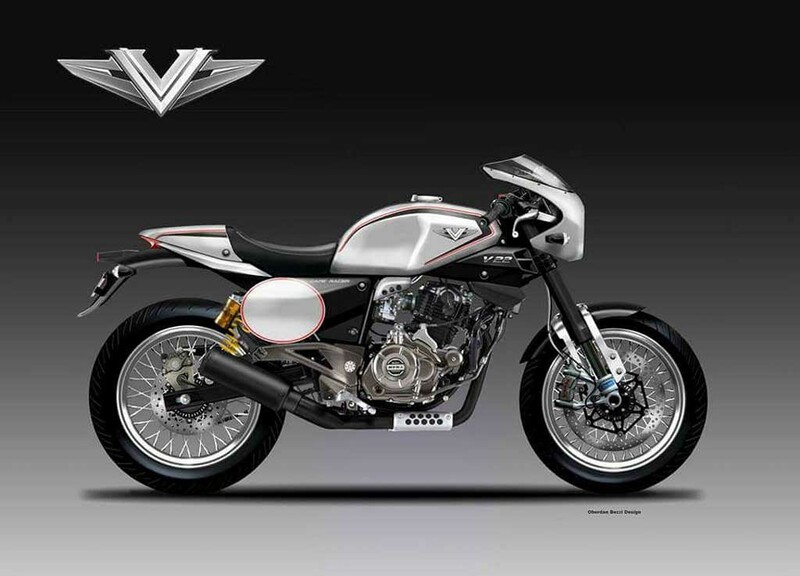 The rendering portray the Bajaj V22 cafe racer, V22 dirt bike and V22 classic retro avatars. It comes with an evolutionary and grown up design compared to the V15 and V12 siblings as per the renderings. All these three renderings show the bikes in aggressive mode. The basic styling of the V22 includes a round headlamp with chrome treatment, dual round instrument clusters, a large fuel tank with chrome finished cap and sleek taillight. The Bajaj V22 café racer sports a retro styled front visor and the pillion seat can be covered and uncovered with an Allen key, just like the V15 and V12. It features a fully black exhaust muzzle as well. Speaking about the V22 dirt bike, it is the most aggressive looking model among these three. Its exhaust has been high mounted and sports chrome garnished cover as well. 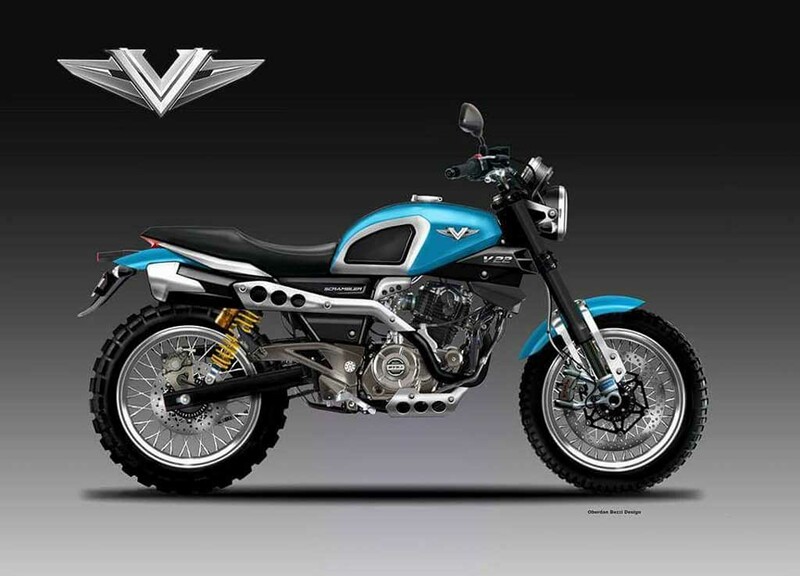 The Bajaj V22 dirt bike also comes with black thigh pad at both sides of fuel tank and runs on off-road spec tyres. Its ground clearance seems amongst the highest, which will clearly help it during adventure tasks. 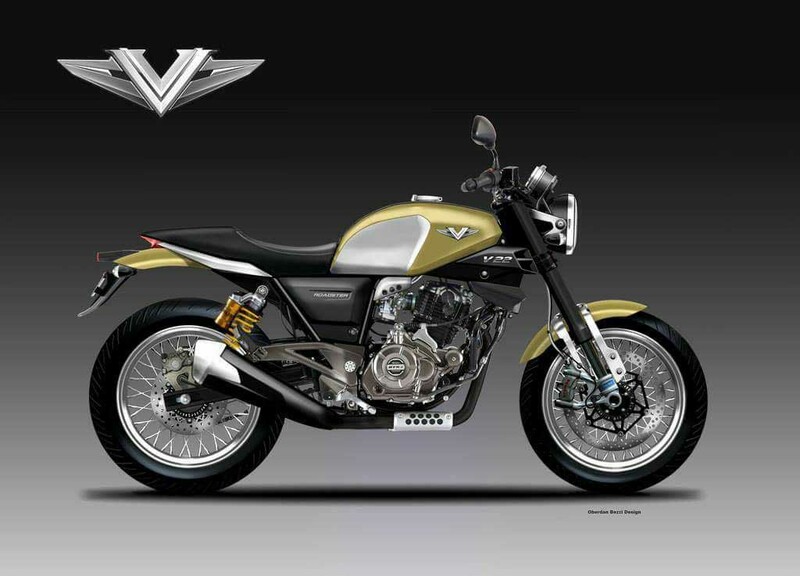 On the other hand, the classic retro styled Bajaj V22 appears with the most attractive styling. Power source for these three models could be the same 220 cc DTSi BS-IV engine, while the six-speed gearbox may likely be the same as well but with different gear ratios as we can imagine. All these three variants of Bajaj V22 could share the same transmission and braking equipment for lowered production cost. The concept of V22 is a far cry from reality but considering the unpredictability our auto industry brings in more often than not and Bajaj is known for their aggressive moves, we might one day expect a high-end premium cruiser from the V series brimmed with patriotic blood. But until then, these images should satisfy your cravings.